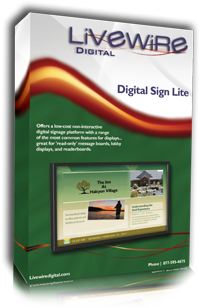 Our most affordable digital signage software, Digital Signage – Lite Edition supports the most commonly used features for digital signs. Need a simple full-screen media playlist, then DS Lite is right for you. You can also add other basic elements such as date/time or weather.